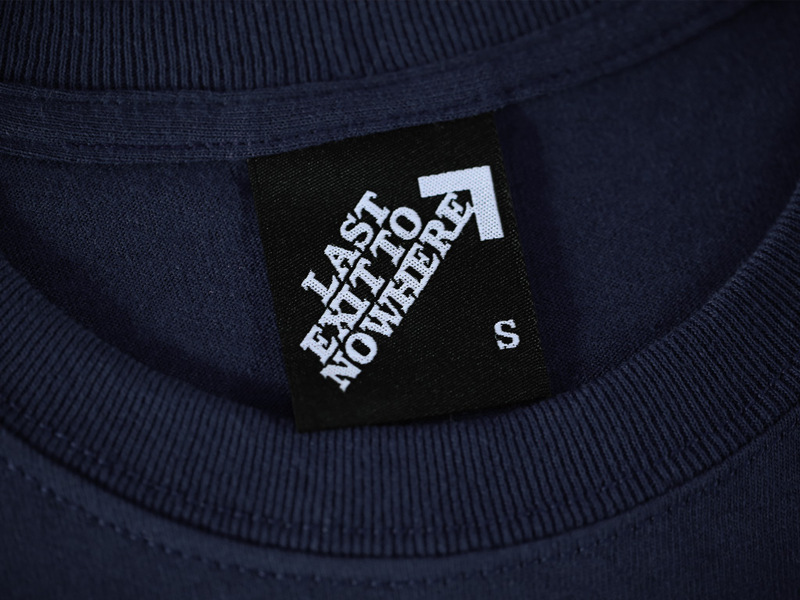 A single colour design using a glow in the dark ink, hand screen printed on a regular fit 100% cotton navy T-shirt. 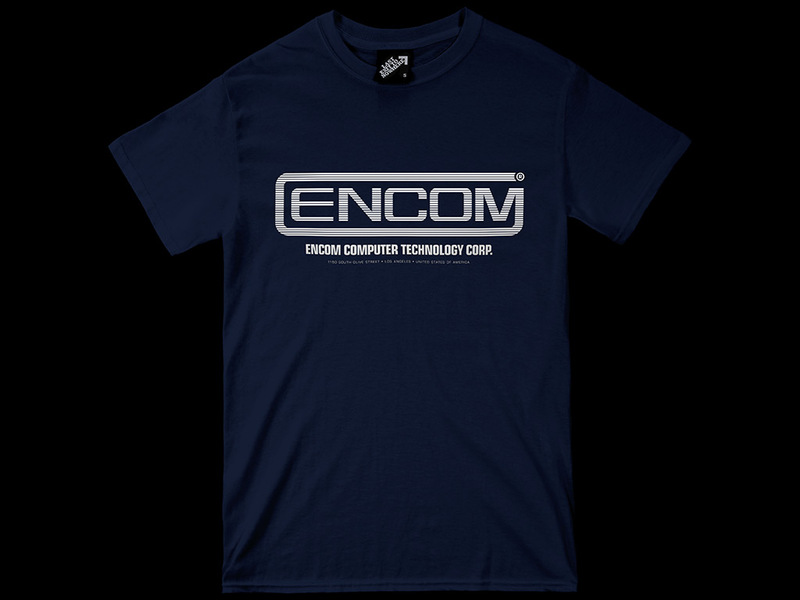 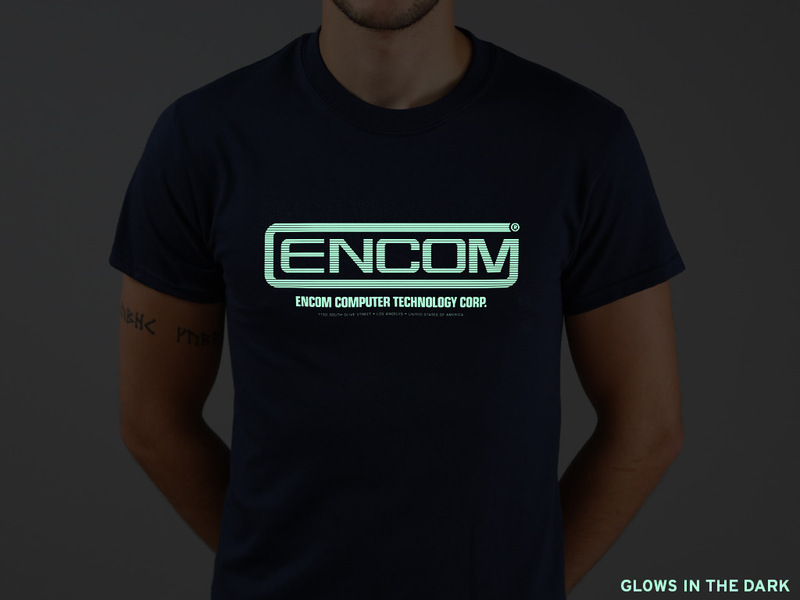 Inspired by the fictional computer technology corporation featured in the 1982 film, Tron, the American science fiction action-adventure film produced by Walt Disney Productions and directed by Steven Lisberger. 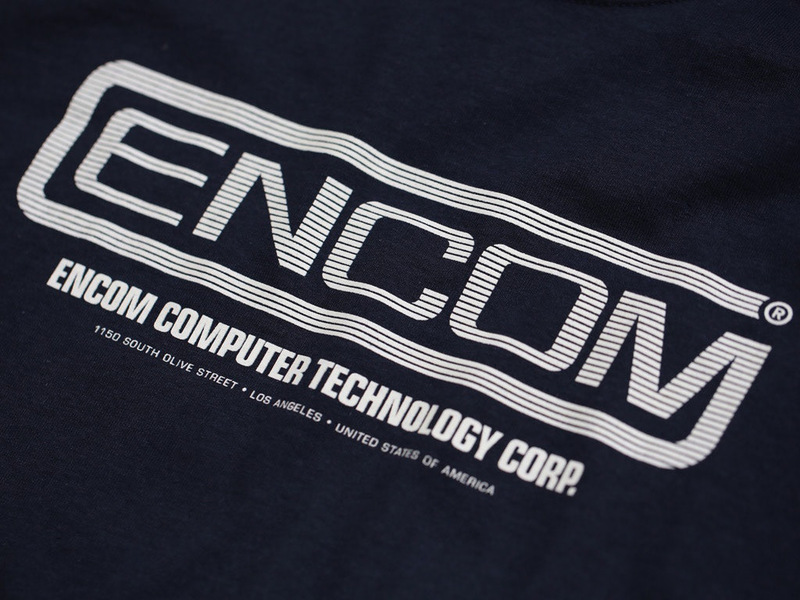 The film stars Jeff Bridges, Bruce Boxleitner, David Warner, Cindy Morgan and Barnard Hughes.